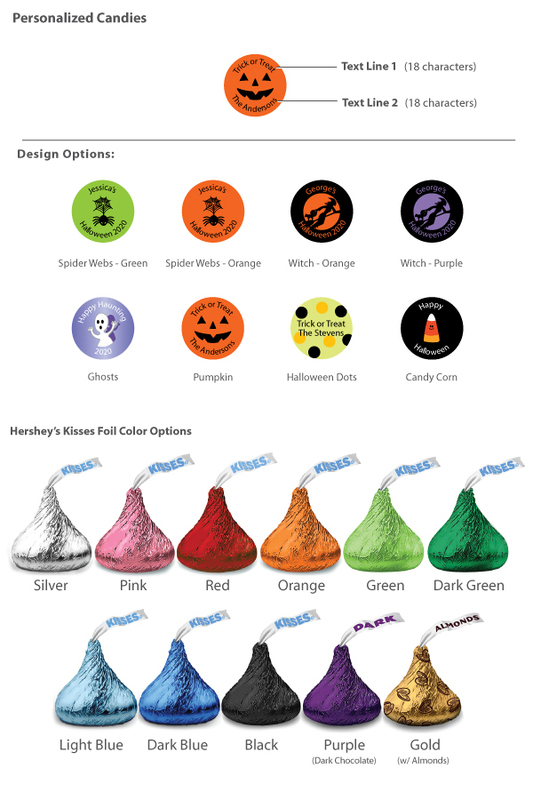 Pass out personalized Halloween Hershey's Kisses as a sweet treat for your neighborhood monsters and Halloween party guests. Hard to resist, Hershey’s Kisses are the quintessential little treat. These mouthwatering little drops of goodness have been putting a smile on people’s faces since 1907, over one hundred years of sugary sweetness. Sprinkle these classic American treats on tables at your Halloween bash or add to the candy bowl to pass out on Halloween night. However you choose to spread these little favors make sure you have enough (suggested quantity per guest: 5-10 Kisses). 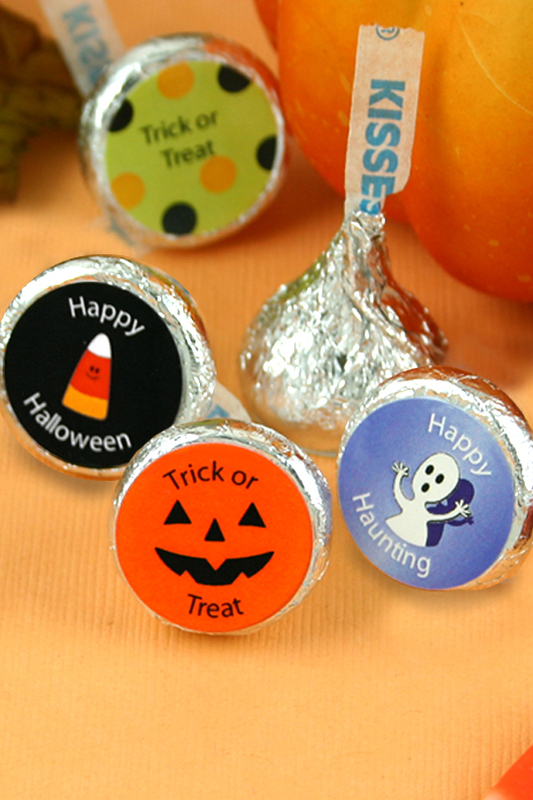 Each individually wrapped Kiss arrives labeled with your personalized design.